We feel that some of our guests may not want to leave the comfort of their holiday home to enjoy a spa experience. To this end we are delighted to introduce you to the services of My Personal Sanctuary to take the hassle out of bringing indulgent pampering to you, leaving you with more time to spend with a relaxed mind and body after adding a touch of decadence to your break with us. Their highly experienced hand-picked therapists will ensure you receive a luxury spa experience from the moment they arrive at your door, bringing everything needed to turn an allocated room into a spa for the day. With a comprehensive range of treatments from warming deep tissue massage, replenishing facials, hand and feet treats, to holistic fully body journeys and pamper packages to treat you from head to toe using only the bery best organic products. The treatments can be tailored to suit your needs and shared between family and friends as required. We guarantee you’ll feel a sense of calmness and serenity from the moment you slip into the soft fluffy robe and relax on the heated treatment bed. 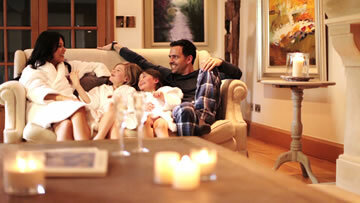 What better way to escape reality and unwind during your break at Forest Barn Holidays hamlet of cottages. How to Let the Treatments Begin? 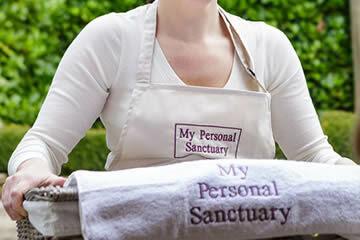 During the booking process add this service to your booking form which will enable a My Personal Sanctuary team member to contact you direct to discuss a package to fit your day, budget and time frame. The team can guide you through every step of the way. All bookings are subject to terms and conditions and availability, we do advise booking early.